Unit4 has announced that the Republic of Cyprus has selected Unit4 Business World platform to replace its ERP solution. The project is led by Grant Thornton Cyprus and GCC Computers Ltd. 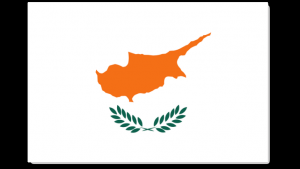 It will help modernise and standardise the Cypriot government’s IT systems for finance, budgeting, HR, payroll provision and pensions administration. The deal follows another in the Mediterranean in Malta in 2017. Grant Thornton was also involved in that project and it will certainly have had an influence here. The scale of the Cyprus project is twice the size of Malta with around 8,000 core users. There is also additional self service functionality delivered for 70,000 users. Unit4 Business World will support more than 150 public authorities in the Republic and will support both Greek and English speakers. Mrs Rea Georgiou, Accountant General of the Republic of Cyprus commented: “Unit4, Grant Thornton Cyprus and GCC Computers Ltd delivered a thorough response to our detailed requirements. Using Unit4’s modern ERP technology, coupled with business process re-engineering, we can automate and simplify our business and financial management processes, saving both time and money. The tender for the contract was issued in 2016 and the Republic of Cyprus considered five separate tenders. Unit4’s selection was based on the cost and quality criteria. The contract includes hardware so the implementation is not likely to be a cloud solution but hosted locally. The contract was signed in November last year and the initial contract cost was €24.2 million. There are further options that may increase that amount by another €9.7 million. One option is to extend the maintenance and operation period for 5 years beyond the originally contracted 10 years. The core implementation of the system is expected to complete within three years. Redesign of the public services with the elimination of manual tasks. Automation of the procedures for approving expenditure, invoicing, budgeting and similar procedures. Information for better resource allocation. 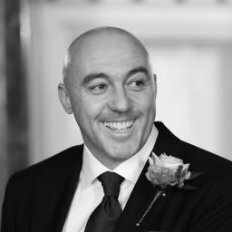 Derren Nisbet, Regional President at Unit4 commented: ‘’The ability for the Republic of Cyprus to ‘own’ change through our fully configurable ERP platform will significantly reduce the total cost of ownership and empower them to manage change more effectively across all operational areas. Grant Thornton and Unit4 are slowly taking over the public sector ERP space of Mediterranean Islands. It is a niche market but one that demonstrates the effectiveness of the software in the public sector. It may help springboard the company to tackle larger public sector governments. Can it challenges the likes of Oracle and SAP in that sector? For the Republic of Cyprus the hard work is just beginning. This is an ambitious project in terms of its scope. Grant Thornton will need to draw on the lessons learnt from Malta to execute it successfully here.